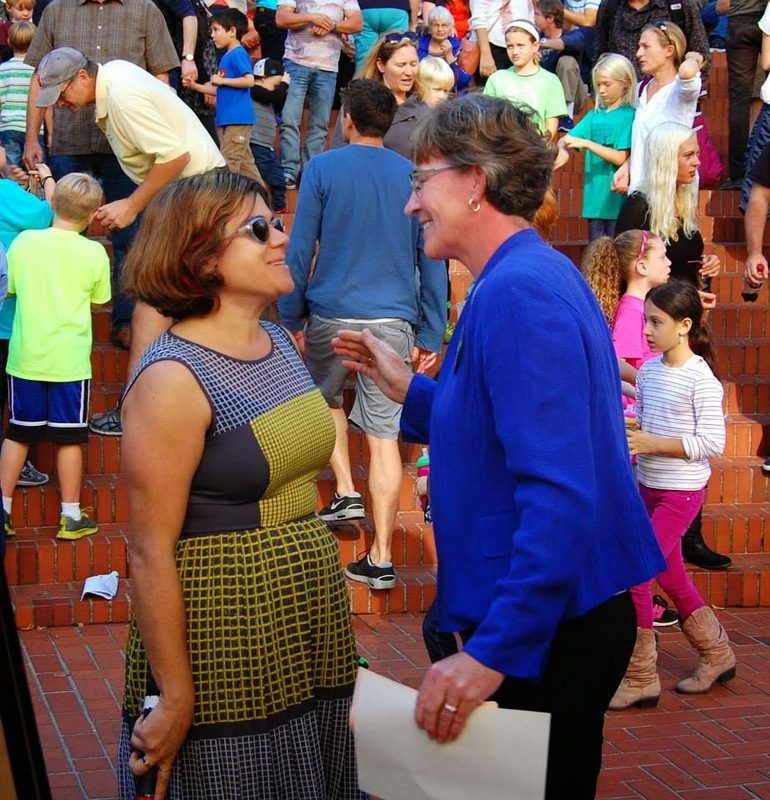 On Sunday, October 19, Portland area teachers held a party in Pioneer Square. 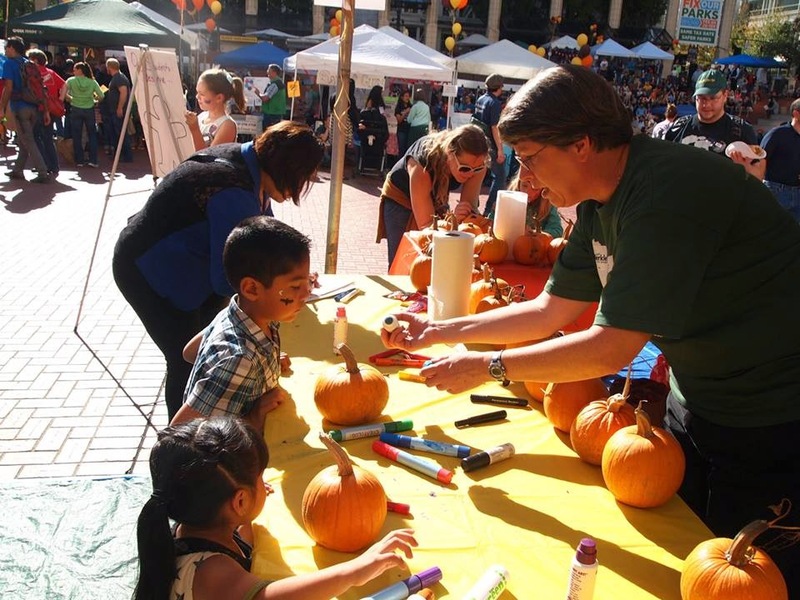 The Quality Education Festival included a book giveaway, a pumpkin give away, free face painting and henna tattoos, and a booth from Outdoor School among the activities designed for family fun. 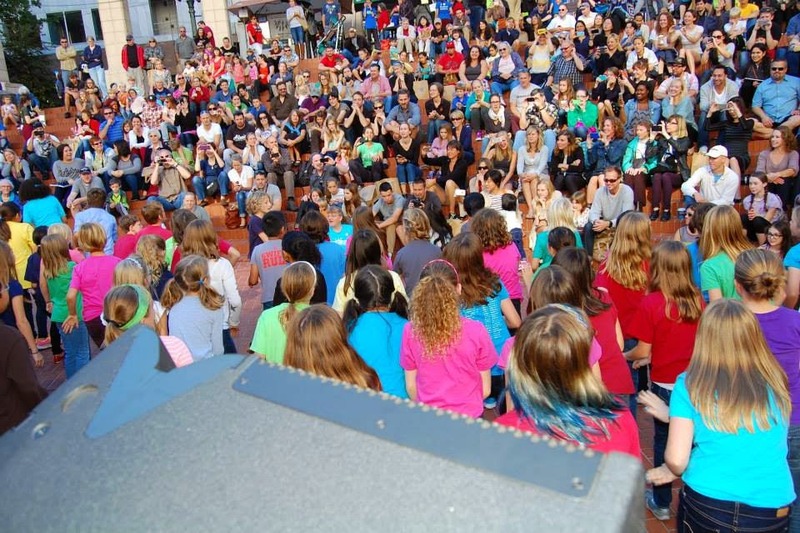 There were also performances from local area schools which included theater, music and dance. 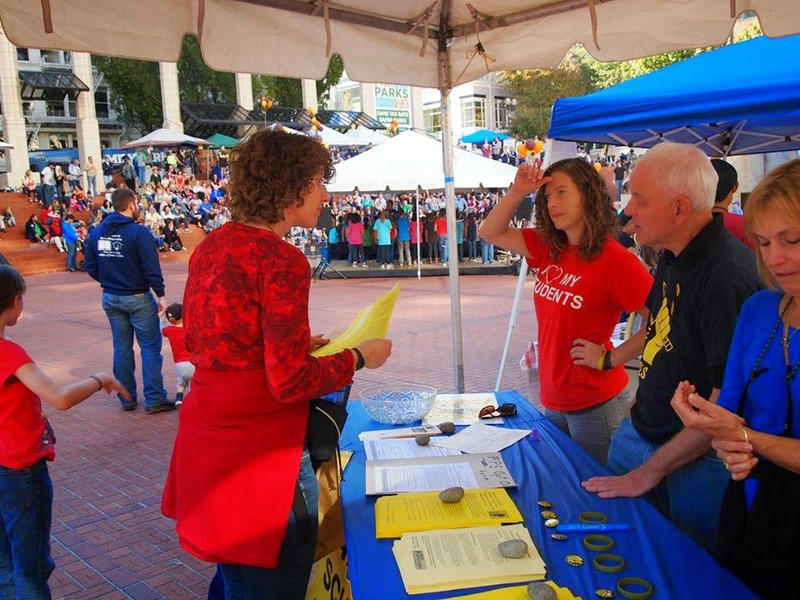 Oregon Save Our Schools sponsored a booth at the event designed to educate parents on their rights to opt their children out of high stakes standardized testing (also handing out stickers, pencils and clown noses to the kids). 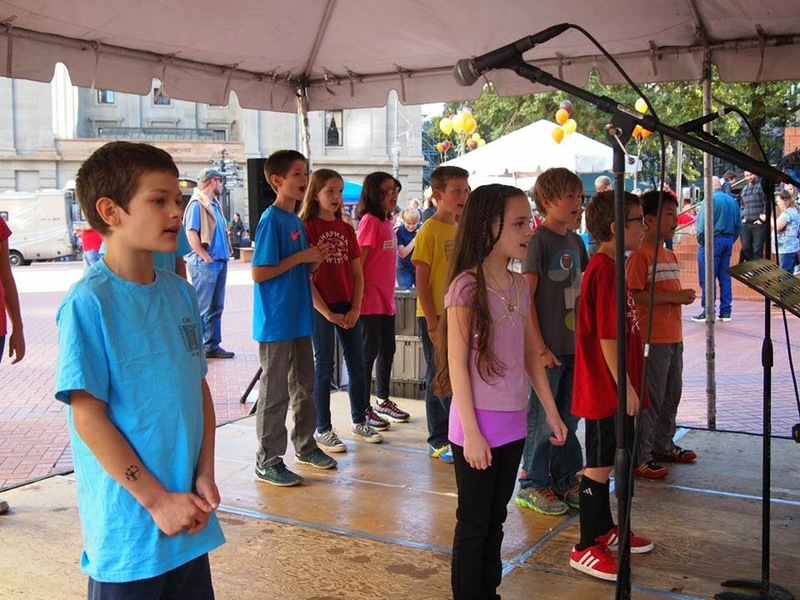 The overall theme of the Festival was that our students are more than a test score and that they deserve to be a priority when it comes to funding. 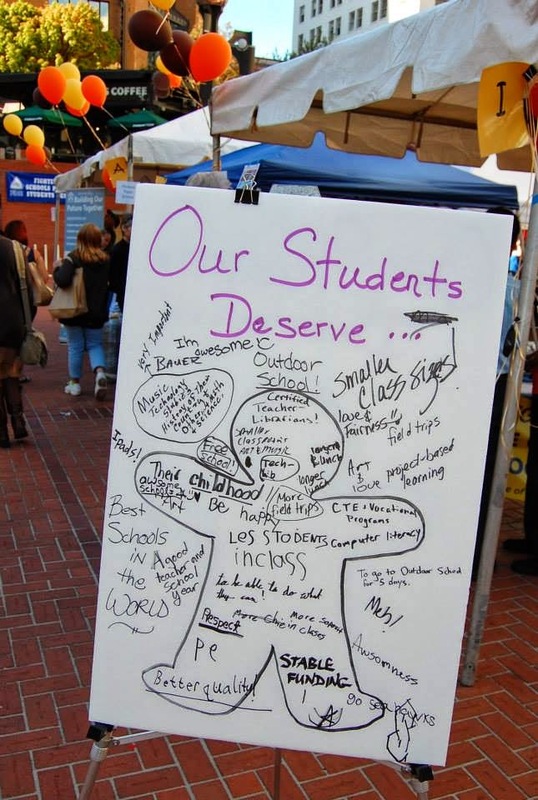 It highlighted many of the programs that students enjoy, which make school meaningful to them, that our schools have lost due to funding cuts and an inordinate focus on test scores as the only possible measure of student achievement. 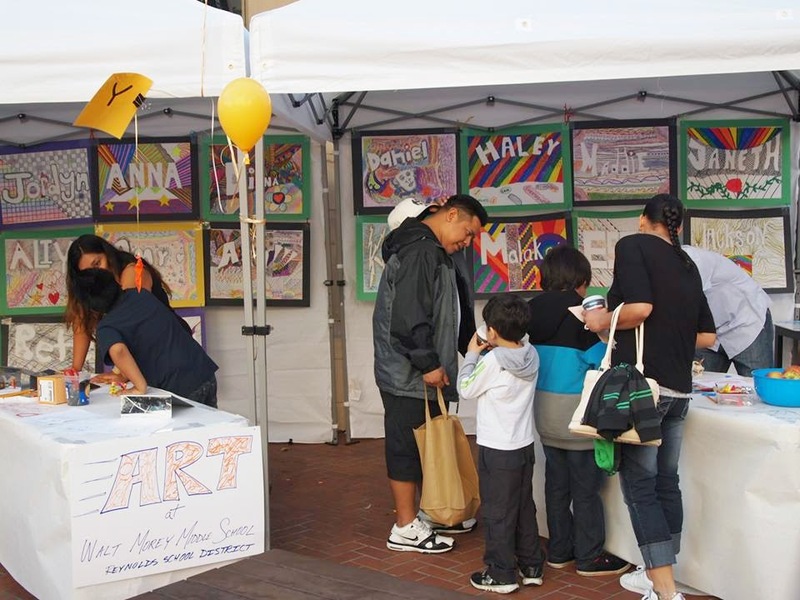 Many volunteer groups that participated paid for their booths at the event, including ours, which was provided by our own Joanne Yatvin. The funding for the event came from local area teachers associations members’ dues. 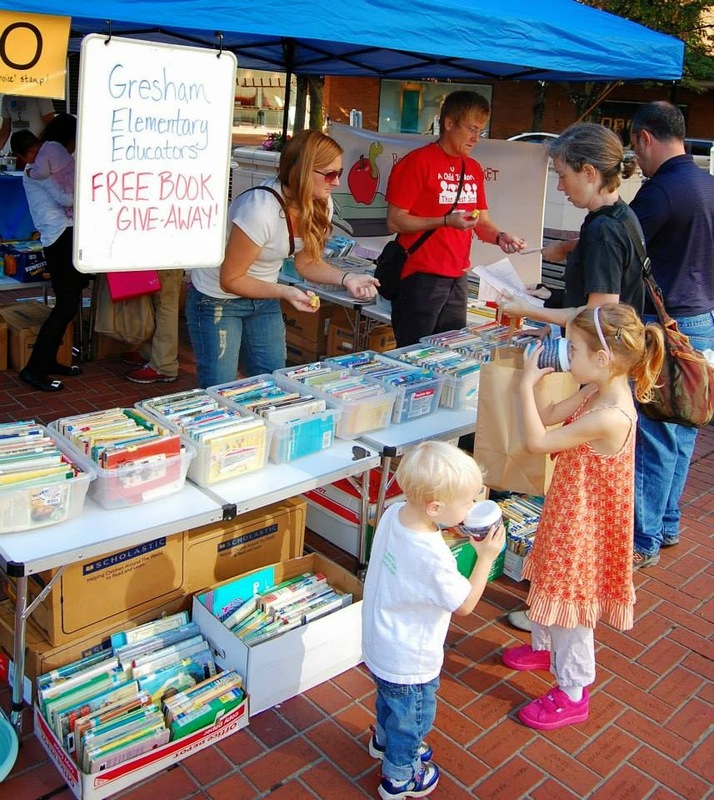 Hours and hours of volunteer time were put in by local teachers, as well as support from Oregon Education Association staffers and leaders (whose salaries are also paid by the local teachers’ dues) to organize the event. 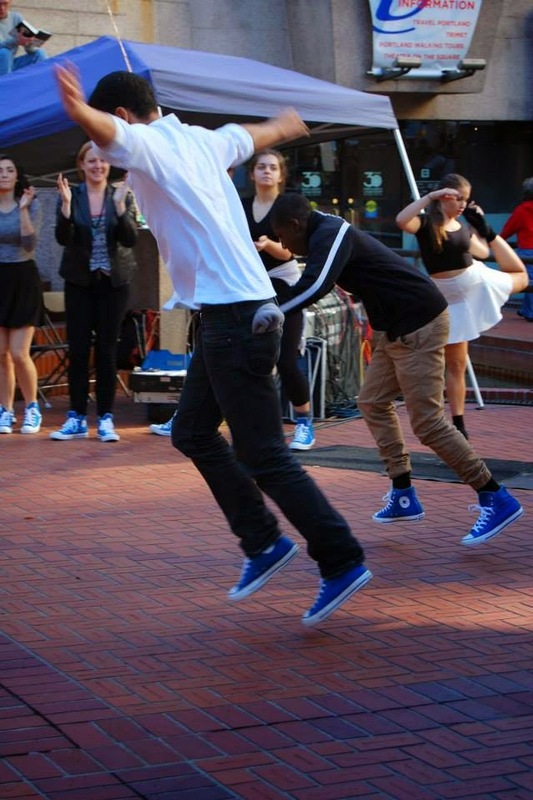 The event was on Pioneer Square’s calendar as well. The calendar the event was apparently not on was the calendar of the Oregonian. 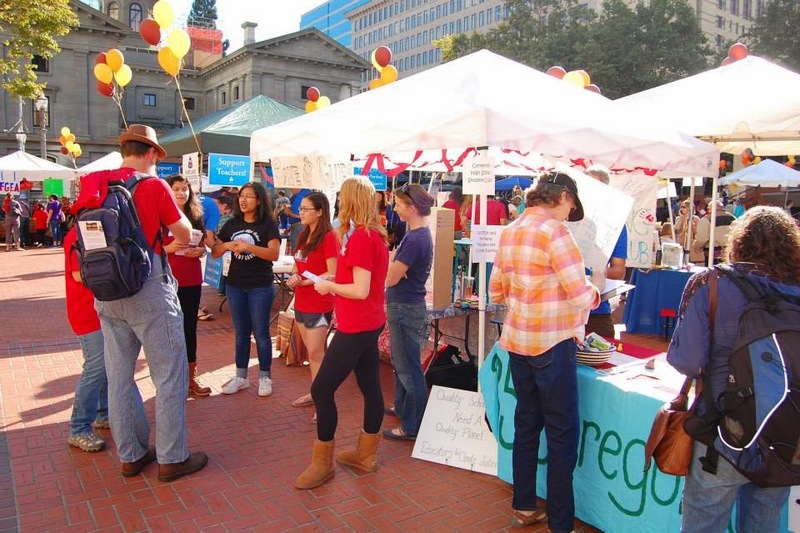 Many teachers and other local volunteers who helped organize the event, including members of Oregon Save Our Schools, eagerly awaited the Oregonian’s coverage to see if their picture, or their child’s picture, appeared in the O. 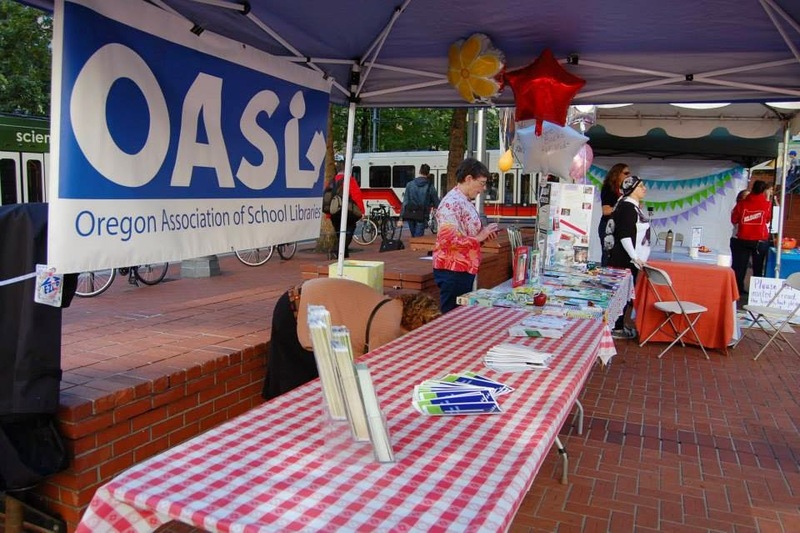 But in spite of the fact that the Oregonian routinely prints news about events in Pioneer Square as well as stories which question the quality and commitment of Oregon’s teachers stories which question the quality and commitment of Oregon’s teachers not a peep was heard in the Oregonian about this event. One has to wonder if this is because the Oregonian is more committed to editorializing and politicizing education policy in Oregon than it is to reporting events and issues in an unbiased manner. The OEA staffer who was designated to communicate with the Oregonian about the event tried three or four times unsuccessfully, as reported to this writer, to have news of the event included somewhere in the paper. Those attempts included the following: a request to submit a guest opinion promoting the Festival and its mission, an invitation to send a reporter and/or photographer to the event, a follow up reminder prior to the event, and a press release after the event. 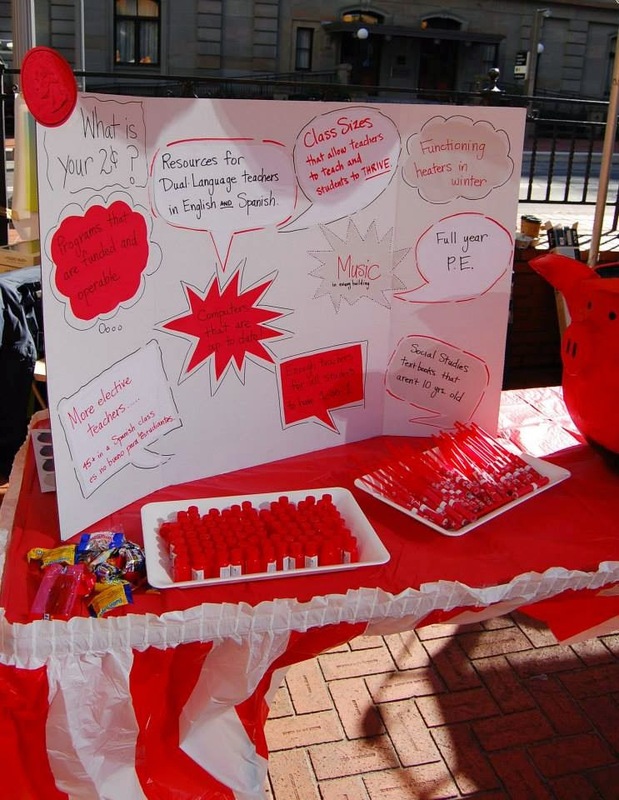 After all the hard work that many community members put into this event and not so much as a human interest report on it, educators and their supporters are troubled by an impression of editorial bias from the Oregonian. We hope that as a news organization, the Oregonian will report all sides of the complex education issues that face our state, not just those with which its editorial board agrees.